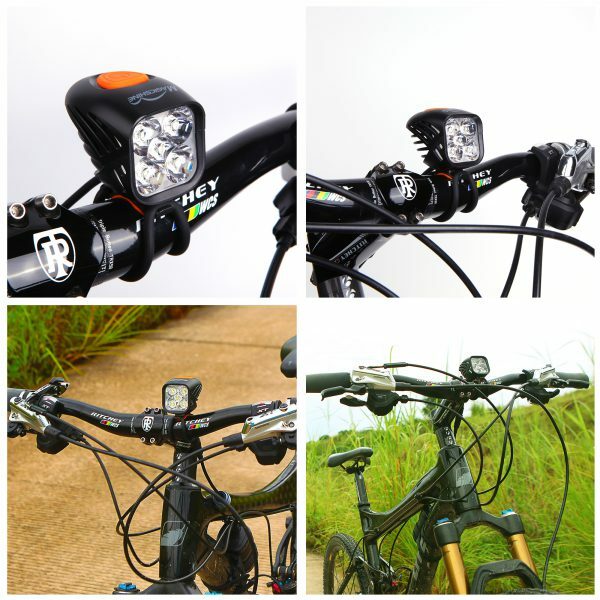 High output, perfect beam pattern and robust craftsmanship has made it one of the most ideal choices for a handlebar light. 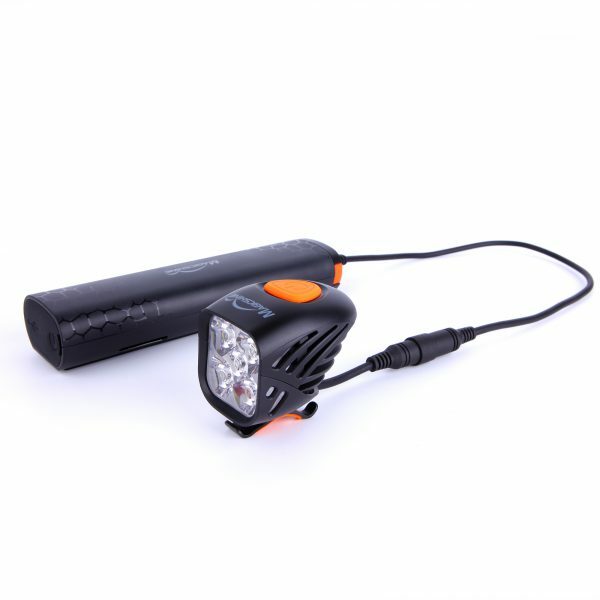 The headlight can put out 3200 actual lumens, supported by the 4xLG 18650 USB rechargeable battery pack. The heat dissipation fins and power structure has been carefully calibrated for consistent output throughout its runtime. Brightness and flash modes can be customized via the easily downloadable Magicshine app. 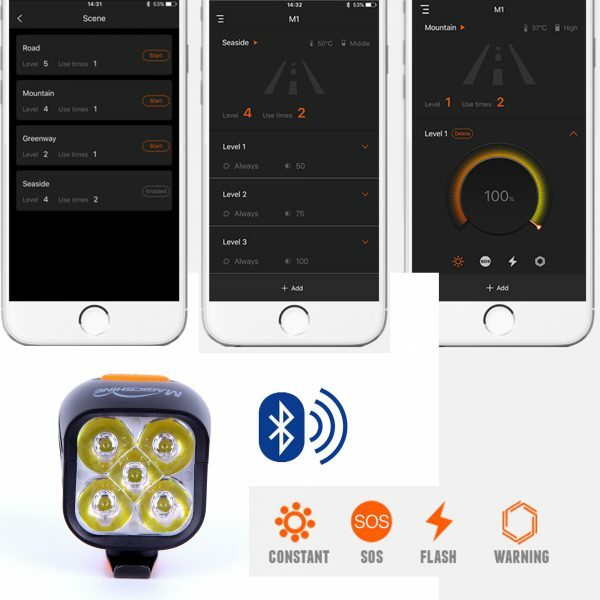 There are 4 pre-programmed lighting modes: constant, SOS, Flash and Warning, each can be set with a custom brightness, cycled through by the power switch on top of the light head and optional Bluetooth remote with or without your mobile device nearby. Note: For the firmware update. 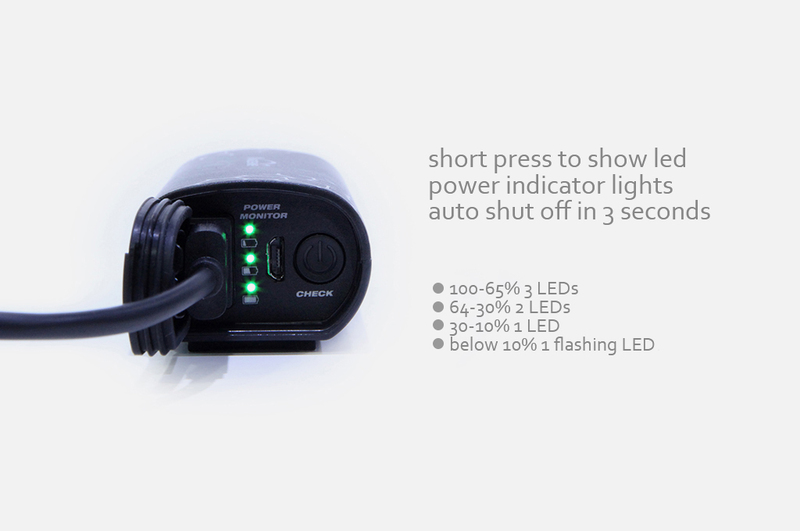 Please make sure the Bluetooth light starts off connected to a charged battery and is turned OFF. Do not disconnect the battery nor turn on the light during the update. Disconnect and reconnect the battery 15 seconds after the update has completed. 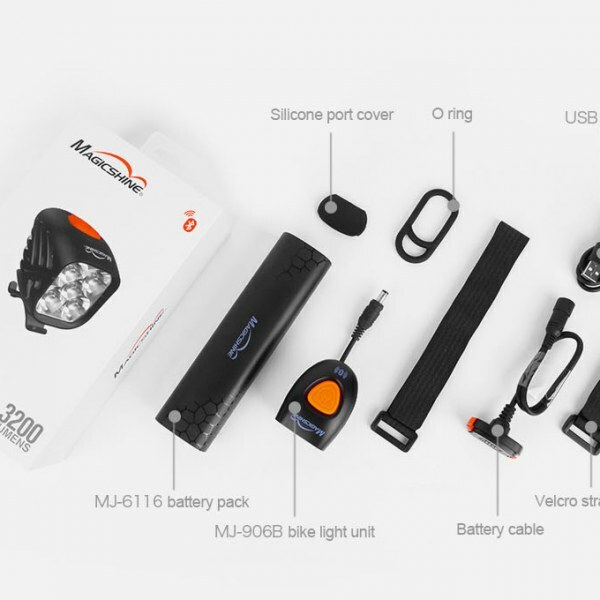 MJ-906B reviewed by Mountain Bike Rider(MBR). 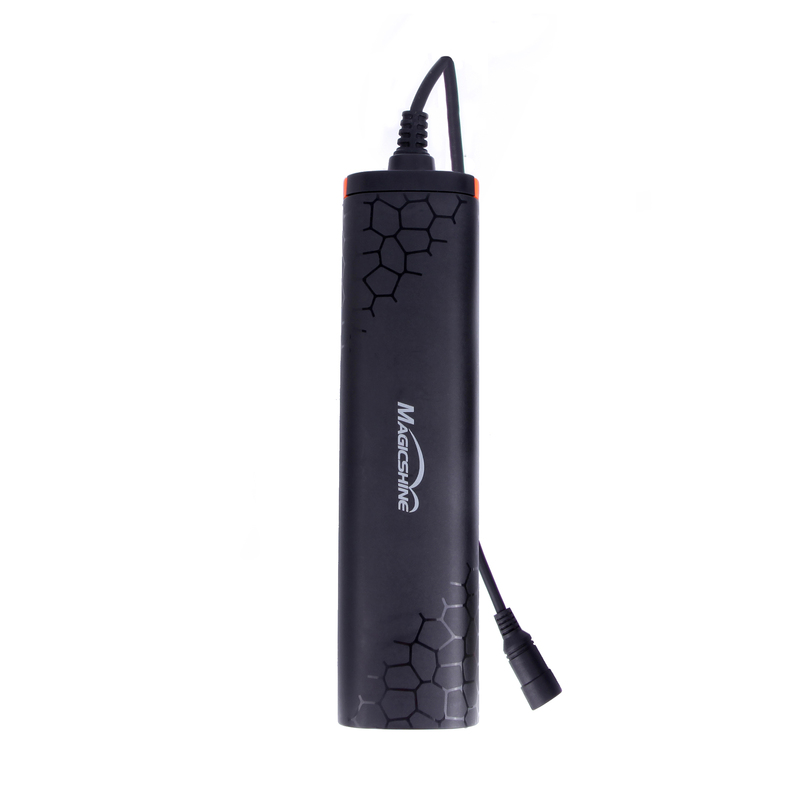 ——The MJ-906B is the daddy of Magicshine’s range. Busting out a cool 3200 lumens (claimed) from five CreeXM-L2 LEDs it should be enough to turn darkness to light. Burn time is only about one hour fifteen on full but what makes the MJ-906B clever is the ability to control power outputs anywhere from 1% to 100% via a Bluetooth compatible smartphone app. 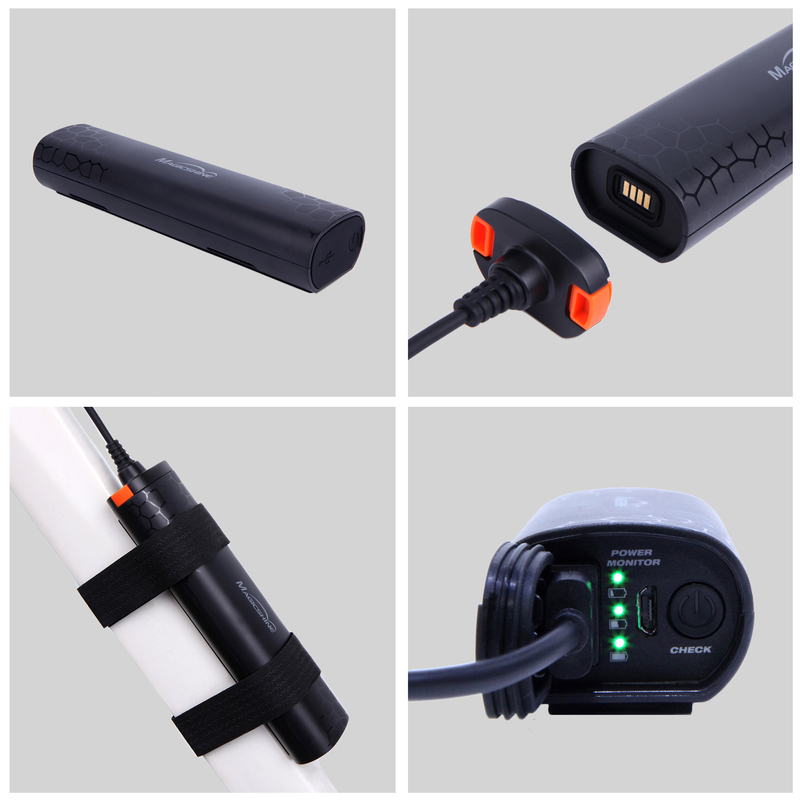 ——Rock-solid battery attachment and connections. Near-infinite customizable options. 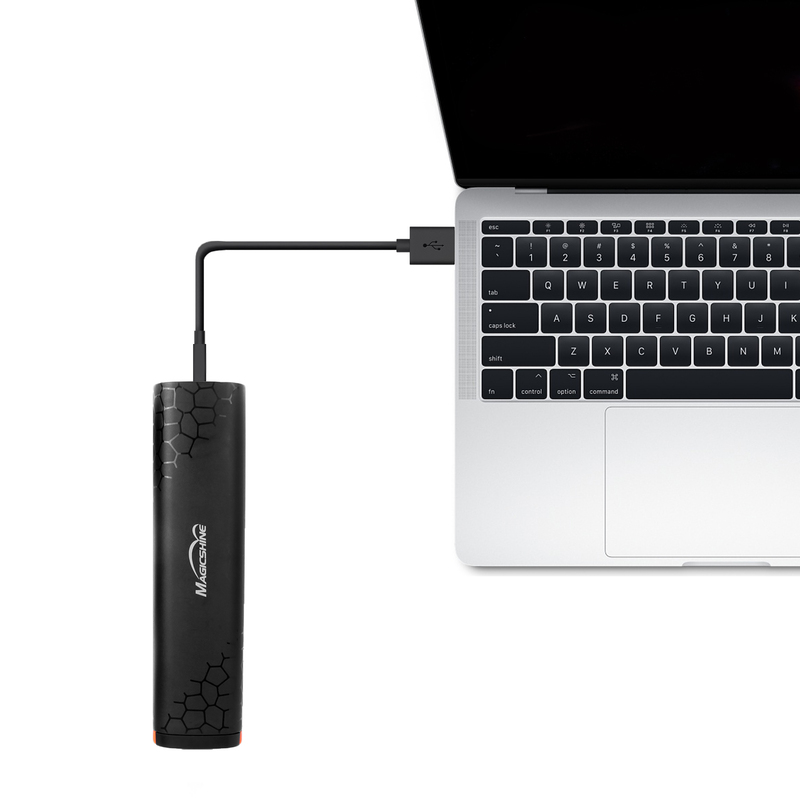 Rock-solid hardware connectivity. Useful as general external battery pack for charging things. ——Magicshine has been the brand to beat in performance for price terms for several years now. The latest multi-faceted, app tuneable 906B isn’t totally issue free but it’s still an impressively user friendly, bang up to date bargain that continues its affordable benchmark form. 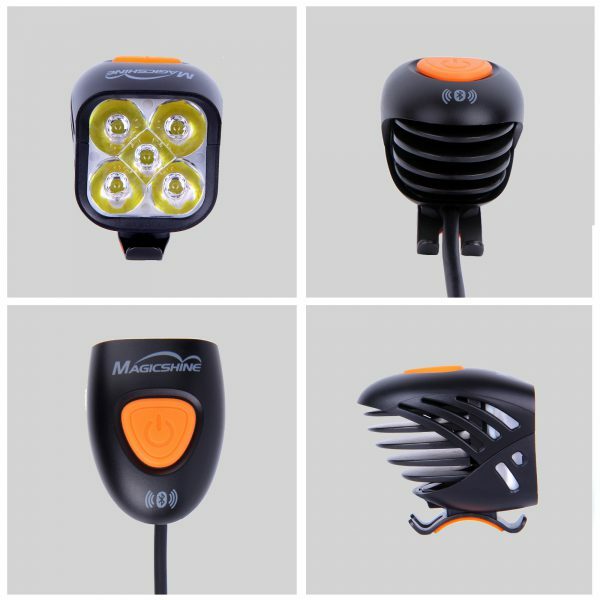 ——The Magicshine MJ-906 with 5000 lm is the nominally brightest lamp in this comparison. Obviously, a lamp with such a high output of lumen is above average in terms illumination. The defined light-spread convinced us as well. The MJ-906 is definitely worth € 179. 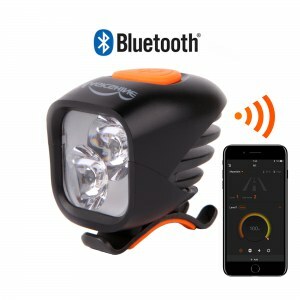 For long distance endurance riders, the light’s battery may be charged while on the road with USB 2A input, however for a light like the 906B, the brightness will be capped to the max available input power. Some flickering and flashing may occur on some power banks. Magicshine is not responsible for potential damages caused to the light head or battery due to usage of 3rd party equipment. Is been great so far, very bright. I use it at 65 percent and it has last me for two moderate nite rides. I use it only for MTB and i gotta say, I really like the beam spread. It lights up the whole trail very nice. 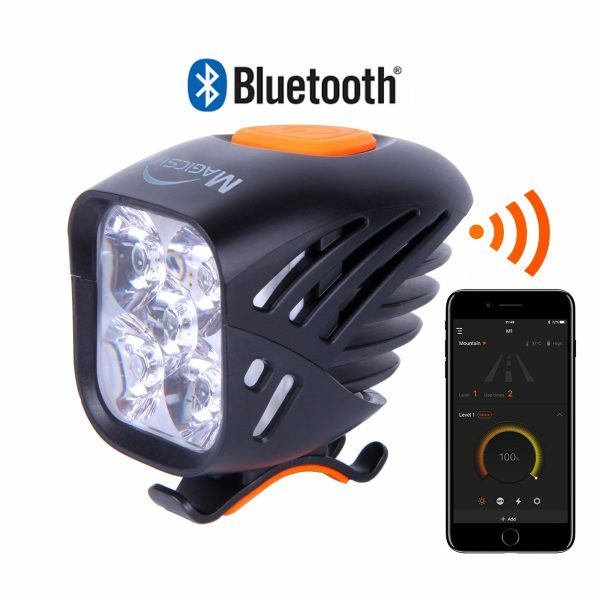 That been said, I just wish it came with an actual remote since is Bluetooth, it would be great to have it because when you are out in the trails using the phone as remote is not the smartest thing to do. And I also wish it came with a helmet strap. I been trying to see it I can make it GoPro mountable but working on it as I speak. I will update my review in a few months of use since I will be using it for the winter. Great light! 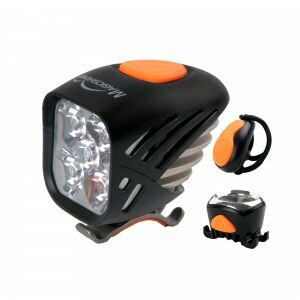 More than enough for commuting, and a solid trail light. Well built and thoughtful bike light touches. 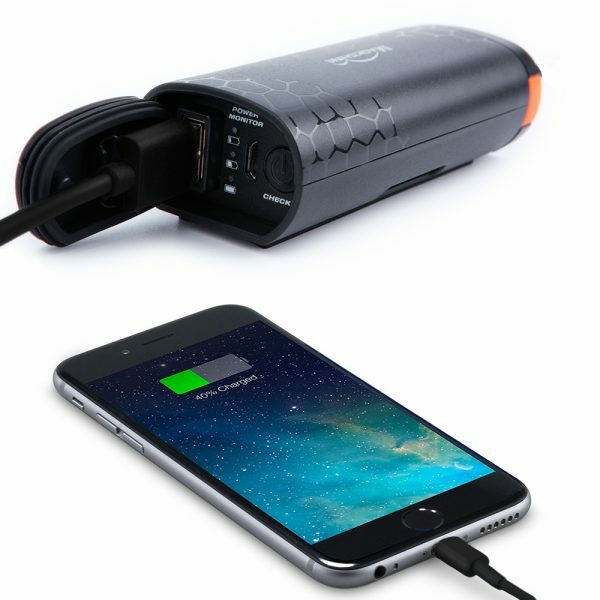 one of the best light I have ever used ..great battery life …very compact and really at a very good price . Go for it also the bluetooth feature is great . This light was super easy to operate. Battery securely takes on bike through tough trails. Light worked very well in conjunction with Helmet light – also by Magic Shine. I used the app and found the set up a bit unintuitive on the App itself. The app loaded my battery saving settings and I enjoyed the ride without being my battery up on full bright. One ride in and very pleased. Great product! Lots of light, and light in weight. I mtn bike night ride 2-3 times per week. 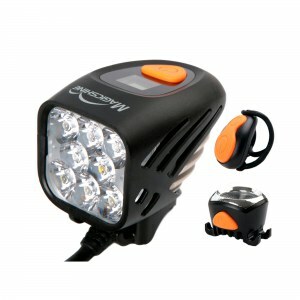 Most of the guys I ride with use expensive lights that I cant seem to bring myself to buy. I needed a quality light that was, in comparison, affordable. Its tough knowing what you are buying on Amazon with all the fake lumen claims but this light so far fits the bill. I havent had it long enough to fully test the battery duration on different settings but brightness is not an issue. I bought the extension cord so that I could helmet mount this light. 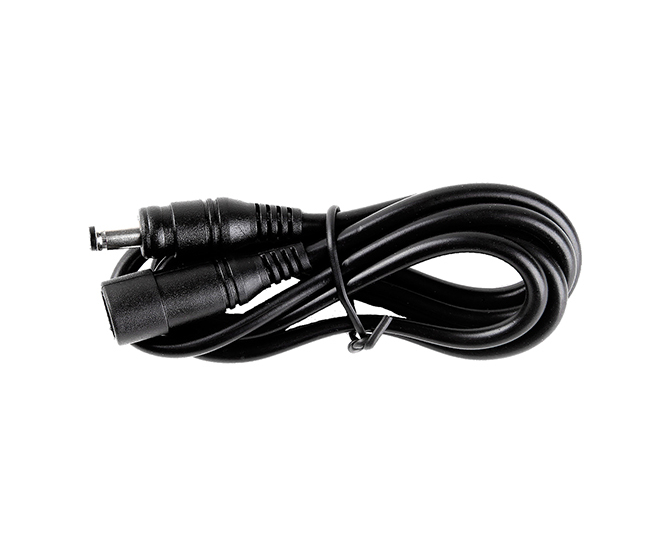 Without the extension, the cord is pretty short. This light is just as bright as all my buddies that spent over $250 on theirs. This was a great buy and glad I made it.